A low-key protest was held by nationalist residents at Ardoyne on Monday as the first contested parade of the year passed of peacefully. Members of the Crumlin Ardoyne Residents’ Association (CARA) stood without banners as the parade made its way past nationalist homes on the Crumlin Road. The Greater Ardoyne Residents Collective (GARC) didn’t hold a protest this year, as they had done in the past. 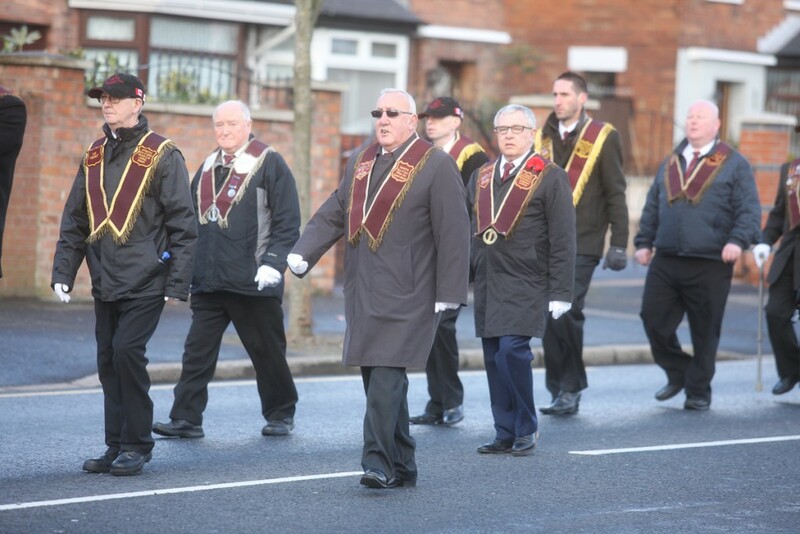 The Parades Commission had ruled that only members of the Ligoniel Walker Club could take part, along with one band and three flags. Music was restricted to hymns and no application for supporters was made. A large police presence separated loyalist supporters who had gathered on Twaddell Avenue from the parade. The parade took place at 9am with the Apprentice Boys then boarding buses to travel to Lurgan where a major demonstration was held. A spokesman for Crumlin Ardoyne Residents’ Association said they would continue to protest until a resolution is reached. “Ardoyne residents staged a peaceful protest without banners because the Loyal Orders still refuse to meet with us. We still want a peaceful resolution,” said a Cara spokesman. The spokesman again rejected claims made in Sunday newspapers that talks are ongoing between loyalists and residents to try and resolve the Twaddell Camp issue. “There isn’t any truth to those reports but we remain willing to talk to anyone,” he said.